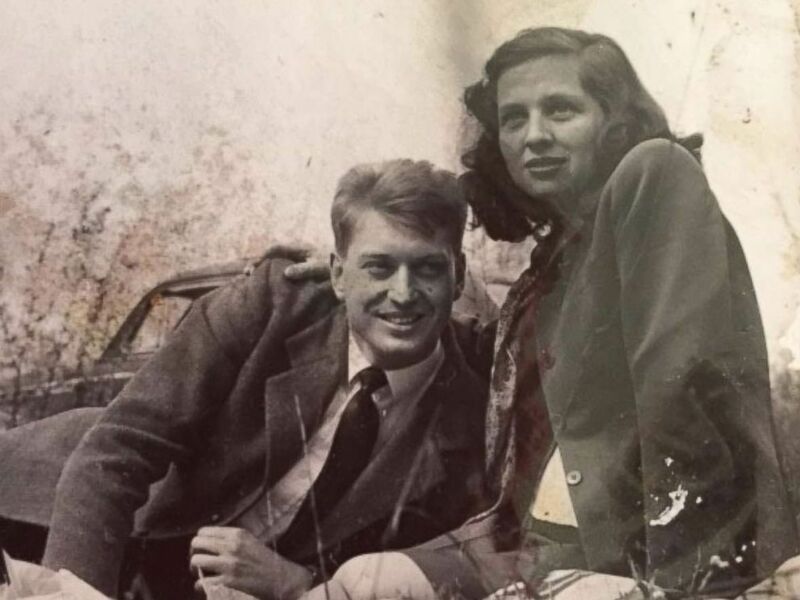 An undated photo of Charles and Sara Rippey who died in the Northern California wildfires. 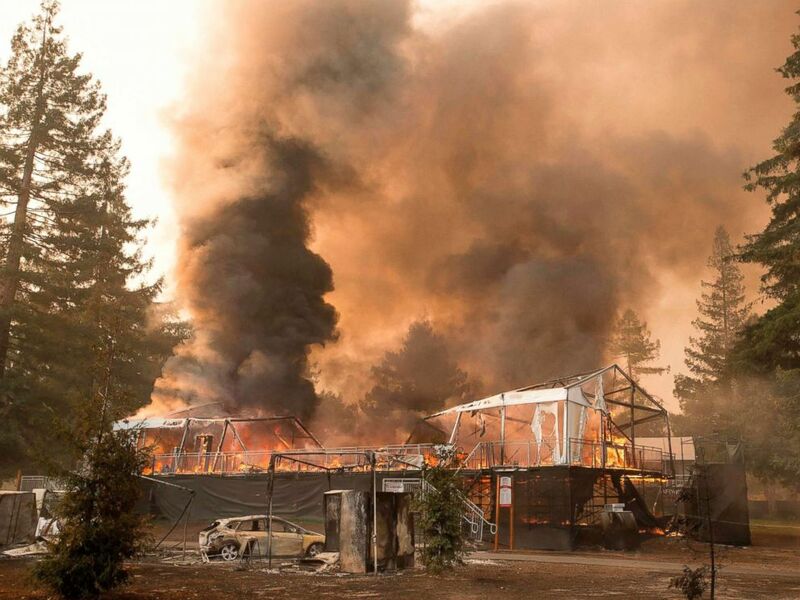 An elderly Napa County couple found dead from the devastating wildfires sweeping Northern California "were happy right up until the last minute," one of their sons told ABC News. Officials identified Charles and Sara Rippey as two of the 15 people killed from the 17 fires consuming over 115,000 acres across the state. Charles Rippey, who turned 100 in July, had been married to Sara Rippey for 75 years, one of their sons, Mike Rippey, told ABC News. The couple met as children in Wisconsin. Mike Rippey, the oldest of five siblings, said his mother "was paralyzed, she had a stroke about five years ago, and there was no way she was getting out of this fire." An undated photo of Charles and Sara Rippey who died in the Northern California wildfires in Oct. 2017. "And my father was sleeping in a different room, and we found him halfway to her room. And so he never made it to her room," Mike Rippey said. "But even if he had made it, there was no way he was gonna leave her. So neither one of them was getting out." His brother Chuck Rippey said he got a call about the house being engulfed in flames, so he drove over, reaching the house a few hours after the blaze. "If they had gotten out, in their elderly state, somehow, they would have gotten grilled out here," Chuck Rippey said. "That's how bad it was. " 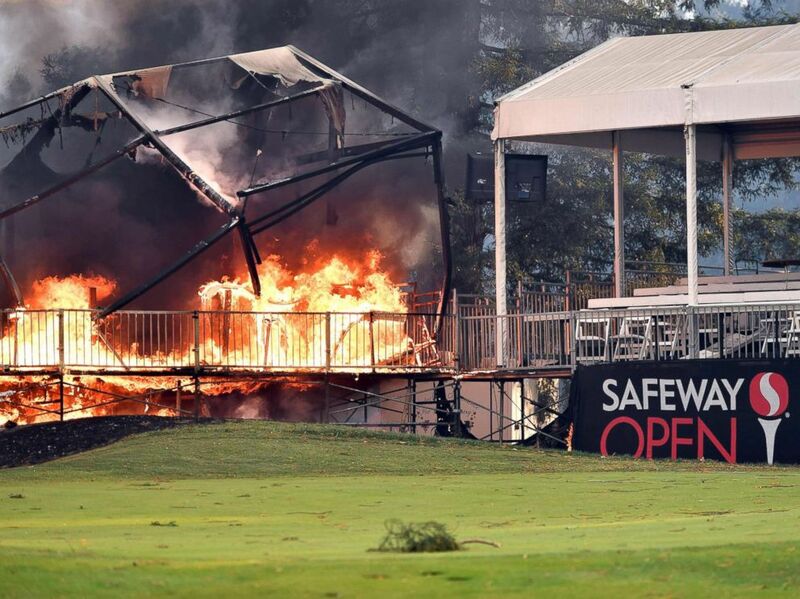 A tent structure built for the 2017 Safeway Open burns on a golf course at the Silverado Resort and Spa in Napa, Calif., Oct. 9, 2017, as multiple wind-driven fires continue to whip through the region. 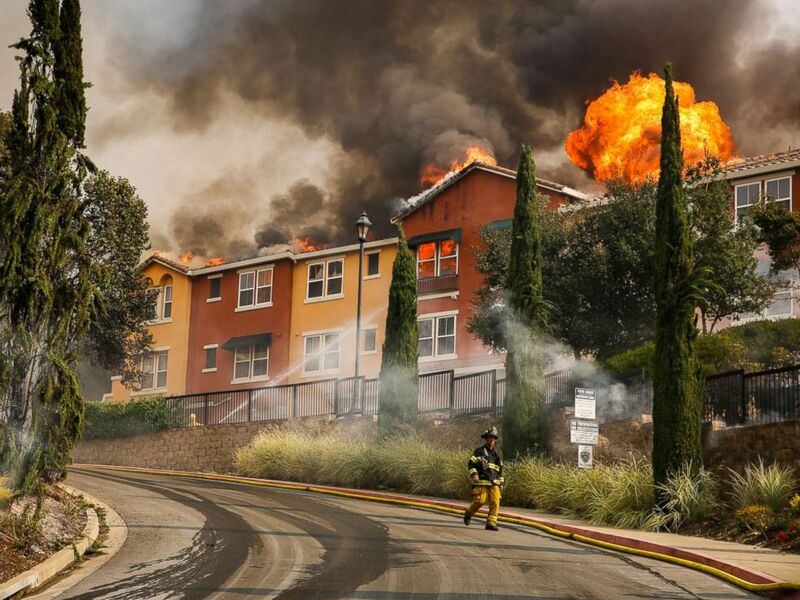 "Because of the high winds ... all the firefighters, I talked to a bunch of them, were trying to save lives. Trying to evacuate people. And it wasn't an easy job because there were several 8-foot in diameter trees that were across the road right here, so people couldn't come down, there was only one access," he said. "People just jumped in their ponds and stuff and waited for the helicopter ... that's the only refuge they could find." 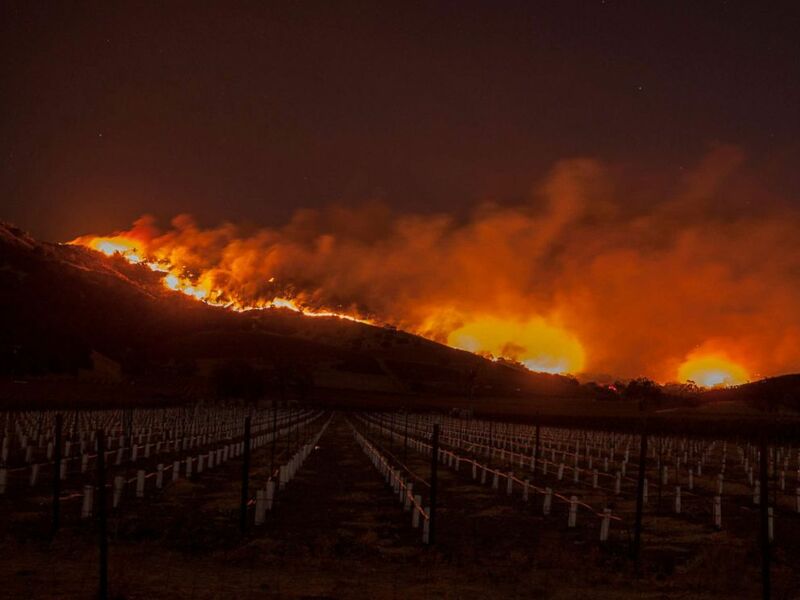 Flames moved through the hills above the Silverado Trail as a wildfire raged through the Napa/Sonoma wine region, Oct. 9, 2017. "I would have thought getting in the pool," he said, but "all the tile is melted off the faces of the pool. There was no place to hide, there was no place to go, if you put your head above water, it would have been burned off. Just like a blow torch." Mike Rippey said of his parents, "They lived a long life. It was a great life and they were happy right up until the last minute. "And you just have to look at that and just, you know, be happy that that's what happened and they died together and they never wanted to leave each other," he added. "So it was almost impossible for any of us to visualize one of them dying first." ABC News' Nick Watt, Alyssa Pone and Katherine Carroll contributed to this report.